One of the most useful & practical tests for those who own a dairy cow is milk testing! “Somatic cell” testing is a cheap, useful indicator of general udder health. 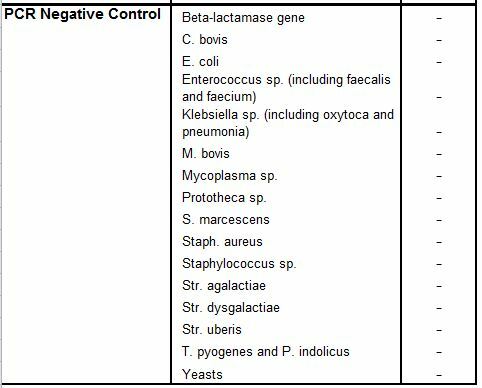 Bacterial cultures from individual quarter(s) can help identify specific pathogens. Do you offer somatic cell testing, and testing for butterfat and protein percentages? Price? Do you offer culturing or DNA testing for bacteria? Price? If I ship the samples, how do they need to be packaged and what is the cost? Is there a DHIA tester in my area that I could give the samples to? Third, taking the sample is the most important step! 1) Make sure everything is properly cleaned – your hands & the udder. Use alcohol swaps and thoroughly clean the teat ends. 5) Freeze sample immediately, ship asap early in the week – overnight or next day (some labs work with preservatives, their handling procedure may be a bit different. Please read the online instructions or call the lab before sending in a sample for the first time.). SOMATIC CELL = Lower is better. The “score” will be 1,2,3,4,5, etc. and the “count” will be in thousands. So it may show up as 24 or 24,000 and they are the same thing. A “healthy” cow will have somatic cell below 200 (thousand). Ideal range is 0-150, 150-250 is acceptable, above 400 and you might seriously question the health of the animal. 750 is the legal limit for milk sold commercially. Anything in the millions indicates infection. BUTTERFAT = If you want a cow that you can get lots of different products from (like skimming cream and such) you probably want the buttefat level to be above 4 percent. Butterfat CAN be changed through different feeding. For example, putting a cow out on fresh spring pasture tends to decrease butterfat % for a couple months while the grass is watery, fast growing, and plush. Generally, intense commercial diets encourage lower butterfat and more overall production. Most cows going to a family cow environment will lose production but gain butterfat by percentage. Butterfat depends somewhat on the breed, although within each breed is a lot of difference. I’ve seen Jerseys with 2.9% butterfat and Jerseys with 8.5% butterfat! Also, a fat cow does tend to give more butterfat, so if your cow is prone to stay thin or is unhealthy, their butterfat score will also be lower, typically. PROTEIN = Is not adjustable as much as butterfat via feed. Protein in almost any dairy cow will be between 3.0 and 4.2, you won’t see many cows outside that realm. Higher is always good, more “cheese yield”! Protein levels tend to be higher in “protein” breeds such as Jersey, Guernsey, or Swiss. Below is a sample test result. Multiple +++ indicates stronger infection. The control (below) is to make sure the lab did not have a contamination of the sample.